Michigan Tech has launched a new virtual tour of campus and the local area. The Walker Arts and Humanities Center is included among the virtual walking tours. 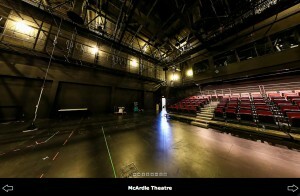 There are interactive panoramas of McArdle Theatre and the Rozsa Center for Performing Arts as well. On Saturday, July 6, alumni and friends from the Northwest Michigan Alumni Chapter were joined by students from Advance Motor Sports, Concrete Canoe, the Michigan Tech Pep Band and Blizzard T. Husky and shared their Michigan Tech spirit in the Cherry Royale Parade in Traverse City. Read more at TechAlum Newsletter, Alumni Around the World. 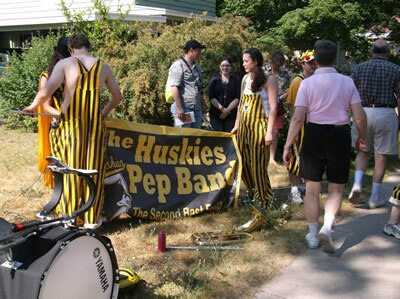 Visit the Northwest Michigan Chapter – Michigan Tech Alumni Association on Facebook. See photos of the 2013 Cherry Royale Parade on Facebook. Over the years, the Rozsa Center has become known for the funny, dramatic or thoughtful performances, plays and musicals it puts on during its yearly season and the programming scheduled for its 2013-14 season will be no different. Read more at the Mining Gazette, by Scott Viau.